Gamification is the process of using game-thinking and game mechanics to engage users and solve problems. Many gamified systems are designed like updated loyalty programs. How is gamification changing marketing? motivation. You need to know what drives them to invest, engage, and succeed. Then reward early. Reward often. Try not to be negative. gets at how much people care. Recency – How long ago did they visit? Frequency – How often did they come back? Duration – How long did they stay? Virality – How many people have they told about you? Rating – What did they explicitly say when asked about you? the engagement meter involves better revenues for everyone. by the brand and the property. is the future. What do you mean by that? is the glaring example. It’s not selling on features or benefits. None of that. the most important motivator. So game mechanics should be on the outside. to take actions that are against their self-interest, but in a predictable way. calculate an idea of how long it should take to complete the transaction. is keeping score and sharing with the cashier a little bit of feedback, a subtle way of giving cues on whether you’re doing things right or not. been about a certain degree of persuasion and motivation, and a degree of manipulation. Games do that most effectively. want the least. It’s not just about the lazy marketers who give discounts. move on with their lives. It does nothing for your brand long-term. point system. They’ve known all along it’s about status and access. also like Angry Birds and Zombie. experience more engaging. The game doesn’t have anything to do with history. But it uses real history. video game industry. The video game industry was an anomaly. of buying a $50 game to play on a machine you put in your house is dead. to your next raise. At least demarcate the next level. introduce the role of Chief Gamification Officer? function and it represents the motivation and emotional state of the consumer. Part game design. Part psychology. Part marketing. customer engagement as their full-time gig. It’s a very specialized position. According to a survey, while 83% of consumers expect businesses to work harder to keep them since the recession, just 5% of think that customer service has improved over the last three years. The channels that customers are using to complain are changing too. While 41% of people will make a complaint by phone and 63% by email, 20% take to social media sites to have a good old moan to friends and family. This means more negative comments about companies and highlights the need for customer service improvements, as well as policies to monitor and respond to complaints on social media channels. 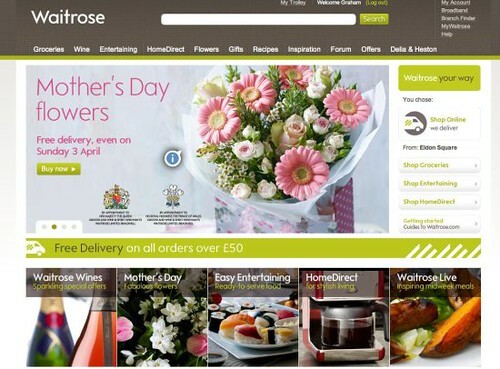 Grocery retailer Waitrose launched a new website earlier this month after a £10m revamp, but there has been a flood of negative feedback from customers. In response, the retailer has been forced to issue a statement promising to address some of this issues raised. celebrities once they find themselves removed from the small screen. Take Conan O’Brien, for instance, who can probably attribute some of his post-Tonight Show success to the social media presence he built up following his split with NBC.